Favorite special items in games! 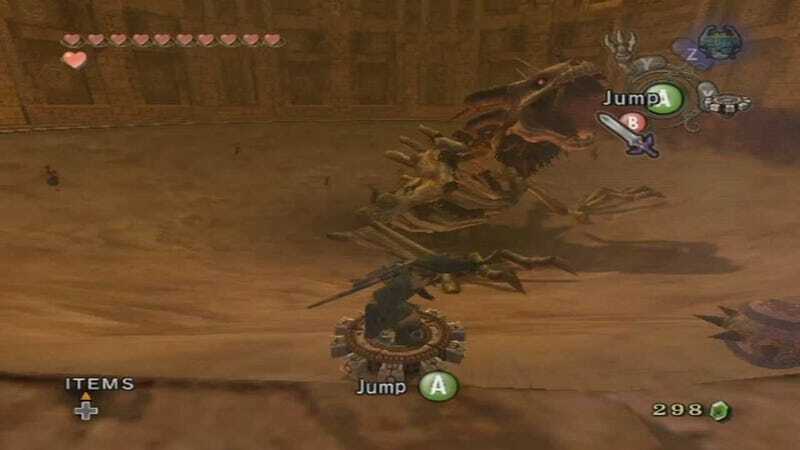 The last time I chipped away at Twilight Princess, I found the Spinner, which allows Link to go combination zip line/surfing on a compass top thingamajig. In other words, it's great. I spent the first five minutes that I had it giggling. Twilight Princess is my third favorite snowboarding game. Go bash your heads into the walls of TAYCLASSIC and let all its contents: games, life, pizza, and all your emotional viscera and dark secrets spill over everything. Figuratively of course.